Celeb Gossip News – Harry Redknapp: What will I’m A Celebrity 2018 winner spend his ‘£500,000 fee’ on? 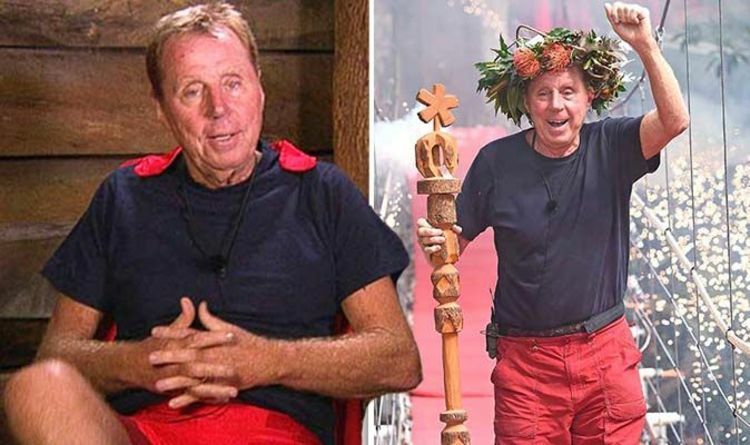 Harry Redknapp: What will I’m A Celebrity 2018 winner spend his ‘£500,000 fee’ on? I’m A Celebrity… Get Me Out Of Here! 2018 Harry Redknapp, 71, won over the public with his personality and hilarious stories in camp, and now it has been reported what his future plans are. An insider has said he will spend quality time with his family, including his wife Sandra, their two sons Mark and Jamie and grandchildren. The source told the Daily Star: “As a football family, Christmas has always had to play second fiddle for Harry and Sandra. “Family is important but football is their living. Now Harry is retired he is desperate to make up for lost time. Harry is believed to have earned a whopping £500,000 for his jungle stint, making him one of the highest paid contestants ever, however this hasn’t been confirmed. The Mirror have also reported Harry has plans to write a new book about his jungle experience. The publication said it is understood several publishers want to make offers, with some more than his reported £500,000 fee. Harry also joked he and Sandra will open a jam roly poly stall during an interview with Good Morning Britain. The former football manager triumphed over Inbetweeners actress Emily Atack, 28, and John Barrowman, 51. During his time in the jungle, he continuously made his camp mates and viewers laugh with his stories. In one episode, Harry made a revelation about bedroom antics with his wife Sandra as he shared the camp’s luxury room with Noel Edmonds, 69. The latter massaged Harry’s leg when he complained about having a cramp. But as Harry discussed his leg cramp, he told the former Deal Or No Deal host that his moaning noises have been mistaken for pleasure by his wife in the past. He said: “I have had it [pain] before during a difficult time. “I think Sandra thought I was really enjoying myself at that time but it was cramp, I was screaming. Meanwhile, PR expert Mark Borkowski has predicted what could happen in Harry’s future following his victory. He believes former Tottenham star Harry could be “offered lucrative offers from all quarters and can do anything he chooses”. He said: “This happens time and time again. You have to exploit this. “This is the highest-rated TV programme, there are a lot of eyeballs. Then Christmas comes and everything goes quiet, extended now by Brexit. “It ends with a very sharp full stop. They quickly go off the radar. But it’s in the power of the big personalities. “It’s very brief, but it’s millions. It’s millions and millions of pounds from a show like this, for the best one.